All entry taxes and service charges for the mentioned in the itinerary sights. Arrival in Sofia. Transfer to the hotel, accommodation. 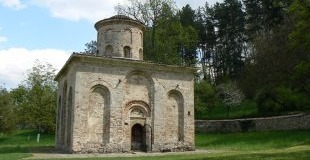 Visit to the medieval Boyana Church, included in UNESCO World Heritage List. Upon request, evening panoramic tour "Sofia by night" and dinner at traditional restaurant with folklore music and dances. Overnight in Sofia. Breakfast. Drive to the town of Zemen. Visit to Zemen Monastery, established in the 11th century. The monastery church is considered as an outstanding monument of the Bulgarian architecture, because it is the only existing church of that form. 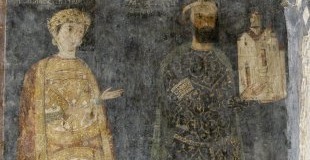 The wall paintings are among the few well-preserved ensembles from the Second Bulgarian Kingdom (XIV c.). Drive back to Sofia. Overnight in Sofia. Breakfast. Drive to Rila Monastery. It is the largest and the most famous Eastern Orthodox monastery in Bulgaria, built in the 10th century. Visit to the monastery church Nativity of the Virgin. One of its greatest treasures is the wooden iconostasis, some 14th and 15th century icons, wall paintings, made by the famous artist Zahari Zograph. Walk around the monastery - Hrelyo’s Tower, the old kitchen, and the history museum. Walk around the monastery and free time. Drive to the town of Plovdiv via Borovets Resort. Accommodation and overnight in Plovdiv. Breakfast. Drive to Bachkovo Monastery. Tour of the monastery, which dates back to 11th century and is one of the most important and well preserved Bulgarian monasteries. 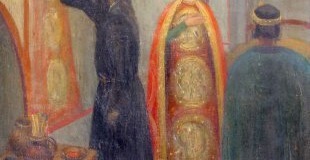 It is known and appreciated for the unique combination of Byzantine, Georgian and Bulgarian culture, united by the common faith. Visit to the monastery church Virgin Mary (dating from 1604), which treasures the wonder-working icon of Virgin Mary Eleusa from 1310. Walk around the monastery. Drive back to Plovdiv. Free time in the city centre and the Old town. Overnight in Plovdiv. Breakfast. Drive to the town of Shipka. Visit to Shipka Memorial Church, designed in a 17th century Moscow style. It has been raised in memory of the Russian, Ukrainian and Bulgarian soldiers, who gave their lives for the liberation of Bulgaria during the Russian-Turkish war 1877-1878. Drive to Sokolski Monastery (built in1833) and tour of the monastery. The monastery chapel treasures icons painted by Zahari Zograf. The eight-spouted fountain constructed by Kolyo Ficheto is in the middle of the monastery courtyard. Stop at the ethnographic open-air museum Etar near Gabrovo. Drive to Dryanovo Monastery of St. Archangel Michael. During the April revolt in 1876 the monastery was the scene of a heroic battle between the Bulgarian revolutionaries and the numerous Turkish Army. Accommodation and overnight in Veliko Tarnovo. Breakfast. 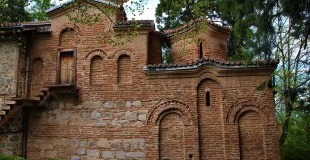 Sightseeing tour of Kilifarevo Monastery situated to the south of the town of Kilifarevo. Nikola Fichev reconstructed the church of the monastery in 1840, while the icon screen is a masterpiece of woodcarving of the representatives of the Tryavna Artistic School. Drive to Preobrazhenski Monastery in the vicinity of Veliko Tarnovo. 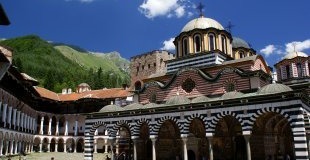 The monastery is a remarkable example of Bulgarian Revival art. When it was reconstructed in 1825, the master builder Nikola Fichev did the construction of the church, while the great painter Zahari Zograf is the author of the wall paintings of the same church. Drive back to Veliko Tarnovo. In the evening, upon request, audio-visual show "Tsarevets in Sounds and Lights". Overnight in Veliko Tarnovo. Breakfast. Drive to Troyan Monastery in the village of Oreshak. The monastery is remarkable for the miraculous icon Three-handed Virgin, kept in its church. Drive to Glozhene Monastery and visit to the monastery. Drive to Sofia. Accommodation and overnight in Sofia. After breakfast, time for shopping in the city centre. Transfer to the airport and departure.